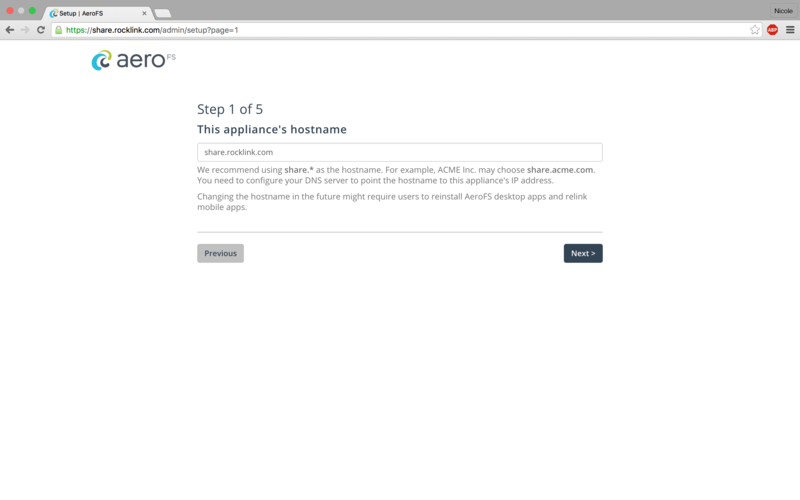 How Do I Change the Hostname Of My AeroFS Appliance? 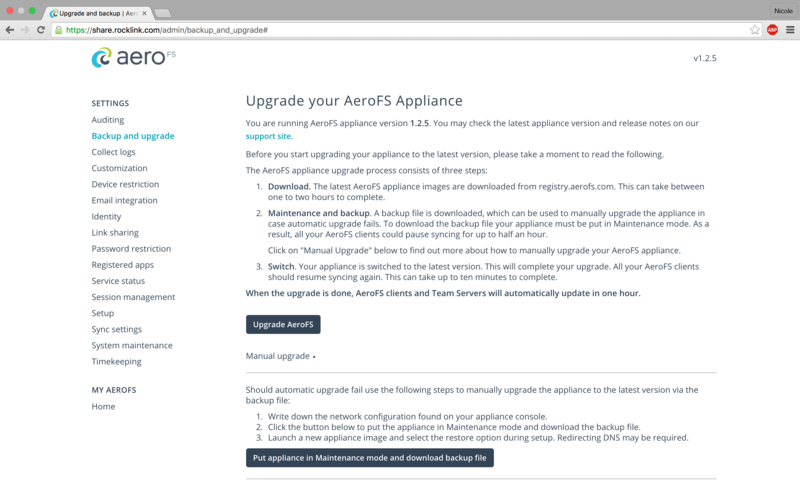 To change the hostname of your AeroFS Private Cloud appliance, follow the steps below. The ordering of these steps is very important as failure to execute these items exactly may result in your desktop and/or mobile clients being stranded without a route to your new system. In this case, reinstallation of your desktop software may be required to return to the system to a sane state. We assume that you are migrating from one appliance instance to another and changing the hostname in the process. Throughout the steps below we refer to your "old appliance" and "new appliance". If this assumption is incorrect, you may think of these two systems as the same appliance, and the steps remain the same. On your old appliance in the Appliance Management Interface, under Setup, change the old hostname to your desired new hostname. Launch your new appliance using the restore from backup option. Upload the backup file you previously downloaded and complete the setup. Trigger a desktop client restart. At many enterprises, this can be done through your desktop management console. You have successfully changed your appliance hostname. Clients will be connected solely to your new appliance at this point, and it is safe to shutdown your old system.